It is our mission to deliver exceptional, innovative and fresh academic programs that remain true to the Word of God, and to develop you for your ministry call, which is the belief in God, and His only begotten son, Jesus Christ. Whether you are looking to build a firm foundation for your personal life, or you seek to equip yourself with the tools that will be useful for ministry, at FCU you'll find in-depth, enlightening and affordable ministry degrees that are both practical and relevant to our times. Dr. Faith is a leader, visionary and continues to lead the FCU vision, as a certified JOHN MAXWELL TEAM MEMBER, offering leadership training, seminars, and keynote speaking at our campus. What started out as a modest Bible institute in Orlando, Florida by Drs. 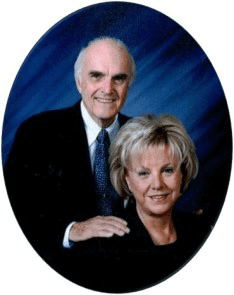 Bud and Faith Fredrick, has been offering students quality higher education that revolves around the teachings of the Gospel since 1995. As more like-minded teachers in theology joined our cause, the institution grew and by affiliating with a leading Christian university, this small institution grew larger and became the extension campus, and soon after, the Faith Christian University. We are proud of our dedicated teachers who are responsible for the quick expansion that the FCU has been successful in achieving within a relatively short period of time. At our university campus, students will have the opportunity to choose between our Bible and Theology, Ministry, Christian Counseling and the Christian Leadership programs, all of which have been designed to deliver exceptional education based on the principles of the Gospel. Through all the programs we offer, Faith Christian University has made it possible for people of all ages to learn how to live a theologically balanced and spiritually charged life, while still playing an important role in their households, communities, countries and indeed, the world. Faith Christian University is an affiliate member of the Association for Biblical Higher Education. As such, it participates in and contributes to collegial and professional development activities of the association. Affiliate status does not, however, imply, or presume ABHE accredited status at the present or in the future. Faith Christian University is a level 2 member of the Florida Council of Private Colleges (FCPC). Membership degree granting institutions with the FCPC which represents its private, faith based, educational institutions before any individual, private or government education organization. Faith Christian University is a member of the Association of Christian Distance Education (ACCESS). ACCESS provides leadership through resources, online community development, and promotion of various forms of distance education. Some of the resources include research and scholarship in distance education (DE) and Christian distance education (CDE), consultation in the field, and establishing a repository of best practices of CDE. Faith Christian University, Orlando, Florida is the educational division of Faith Teaching Center International, Inc., a non-profit religious corporation incorporated in the State of Florida. FCU is a faith based degree granting institution in compliance with Florida Statutes as a religious exempt institution and are recognized by the State of Florida Department of Education – Commission for Independent Education as a religious institution. FCU offers educational programs that prepare students for religious vocations as ministers, professionals, or laypersons in the categories of ministry, counseling, theology, and Christian education. The institution’s transferability of credits policy affirms that (1) it only accepts “institutions” course credits that meet the criteria in s. 1005.06(1)(f), F.S. ; (2) it makes no guarantee of transferability of its credits; and (3) it encourages potential and enrolled students to review future transfer opportunities. Faith Christian University is a member of Transworld Accrediting Commission International (TACI). TACI is a professional, non-profit educational organization whose philosophy is to demonstrate accountability to the consuming public for education obtained in non-traditional evangelical educational institutions. TACI provide consultation services that enable educational institutions to meet accepted standards of performance. Transworld Accrediting Commission International is not recognized by the United States Department of Education.